With the turn of the calendar, I’m excited to share 2 new bits of excitement…. First up, I made some changes to the site – yes, the website you are reading right now. And the second ‘new’, is a magazine that I am featured in this month that I am thrilled to dish on the details about. I was thinking maybe a new color palette, or new font, or layout. After I evaluated what was working, and what wasn’t, I chose to make a few simple updates which included a new home page + logo + header design. 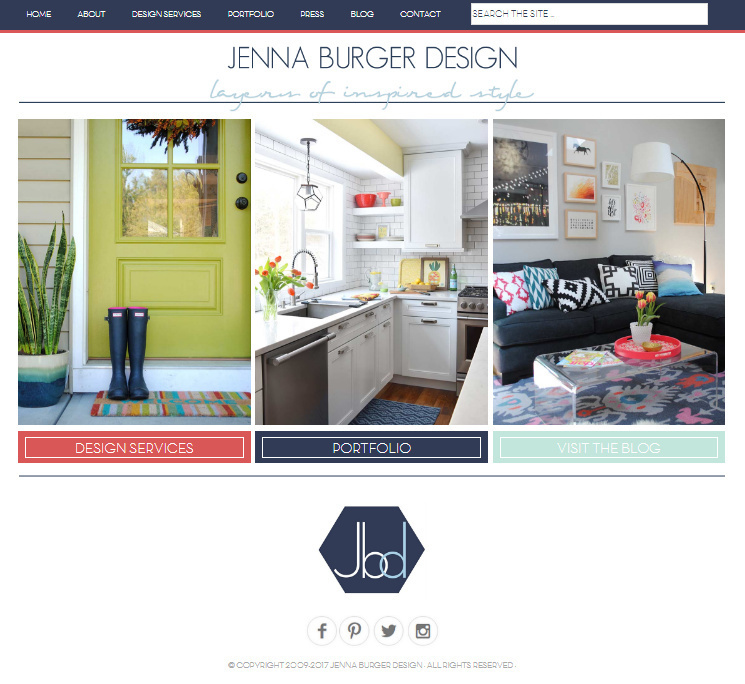 The website > www.JennaBurger.com < which is the main page used to be a hybrid for my blog AND design services. In the past year since taking a step back from the blog to devote more time to expanding my interior design business, I thought it made sense to make the main page more user friendly for all, so I designed a clean + simple landing page where readers / inquirers could choose to go to the page they want > DESIGN SERVICES, PORTFOLIO (pictures of my design projects), or the BLOG. I also revamped the Portfolio page, which features many of the projects that I’ve created. The BLOG page is similar to what you saw before with new posts on the left and a sidebar with links to awesome DIY projects I created on the right. 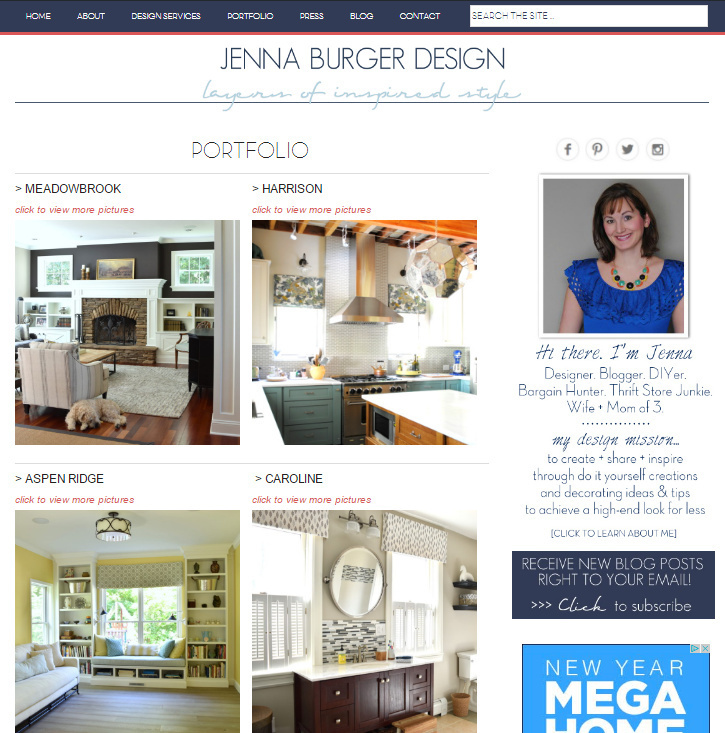 What is new on the BLOG page (and all the pages) is the header design – Jenna Burger Design, Layers of Inspired Style. A new layout + fonts for the header created a stylish, clean update! Poke around and let me know what you think. I hope you enjoy + feel inspired! 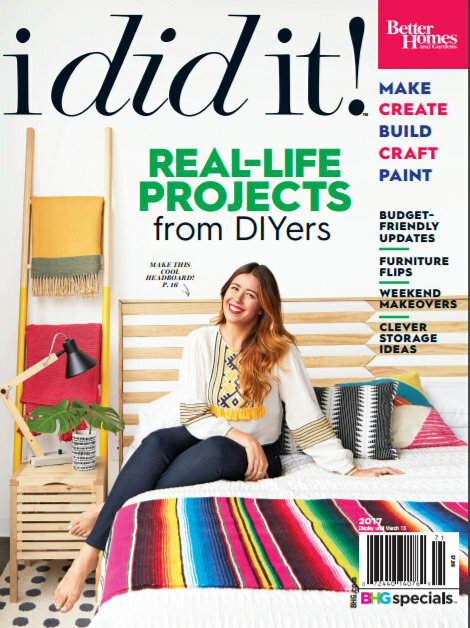 In late December, I received an exciting email from Better Homes and Gardens that there would be a new magazine to hit stands within the coming weeks called I Did It. After a squeal + an embarrassing happy dance (thank goodness I was home alone), I was thrilled to find out that the magazine was developed out of the beloved column in the main Better Homes and Gardens magazine. Until recently, The I Did It column (well actually full page article) was always the last page of the main magazine. I was featured on the page, along with my 2 older kids, in the January 2014 issue – wow, that’s 3 years ago already, time flies. In the recent email I received from BHG with the news of the new magazine, they made mention that my Central Command Center would be featured. Eek.